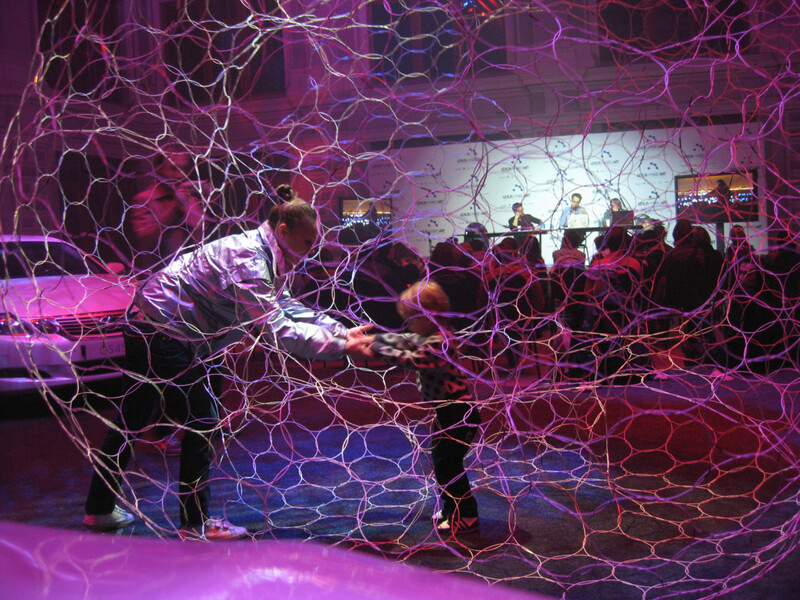 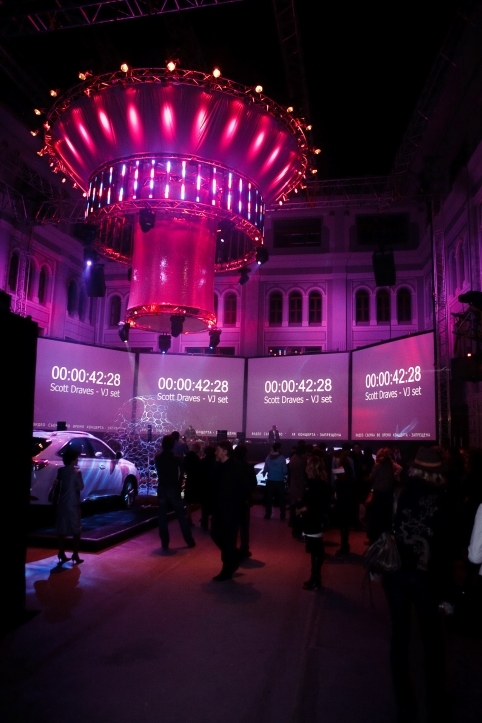 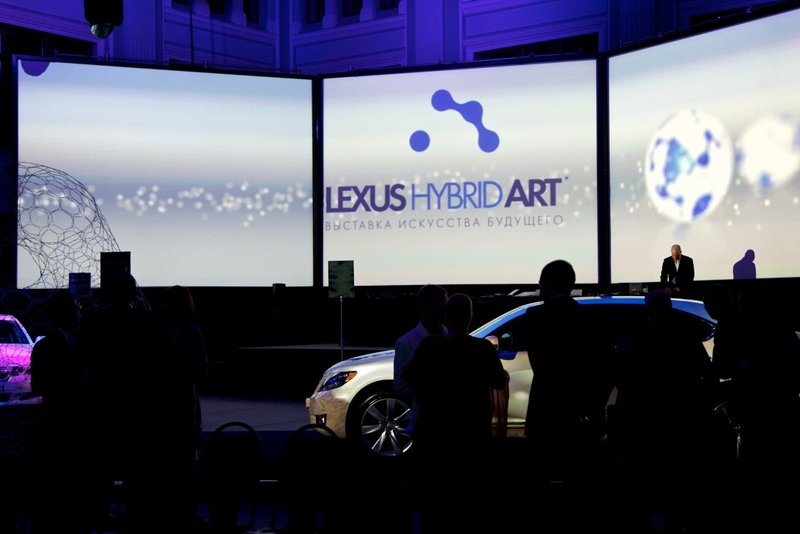 In April 2010 Lexus Hybrid Art opened its doors just around the corner of the Red Square at Gallery Art Centre, Vetoshny. 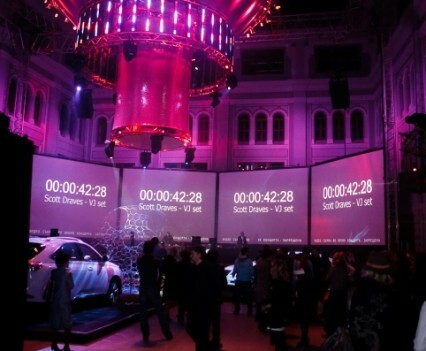 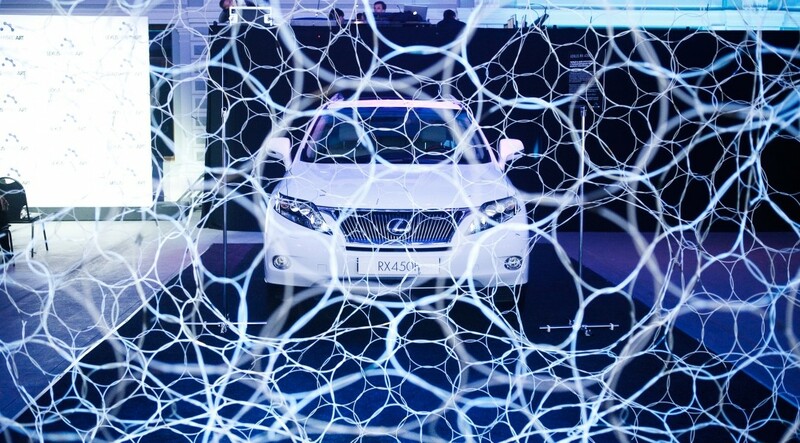 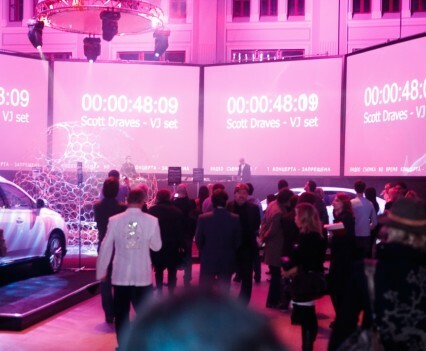 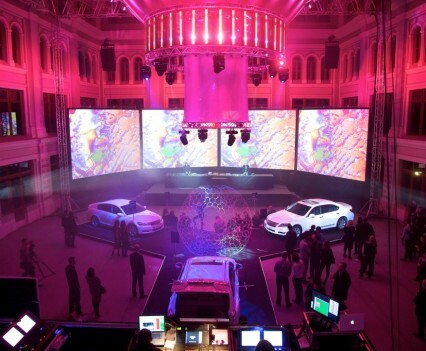 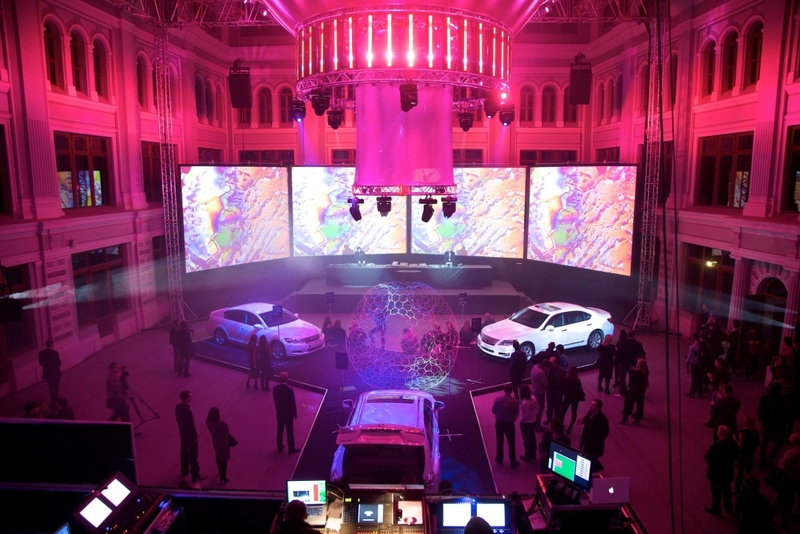 Lexus teamed up with curators Olga Barkovskaya and Anna Belyaeva to introduce the field of Multi Media Art to a Russian audience, whilst launching the Lexus Hybrid car. 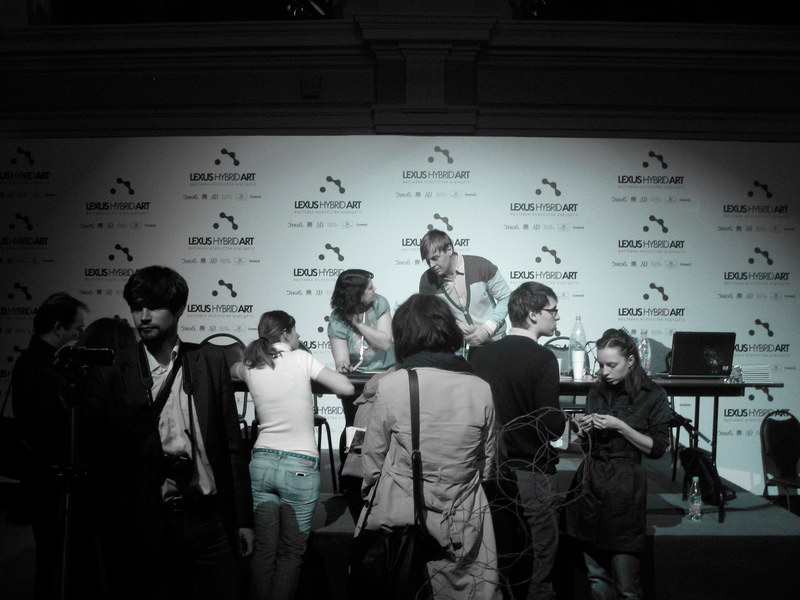 We exhibited Sonumbra and Metabolic Sphere as part of this International group exhibition, as well as running a public lecture-demo to introduce our philosophy and process. 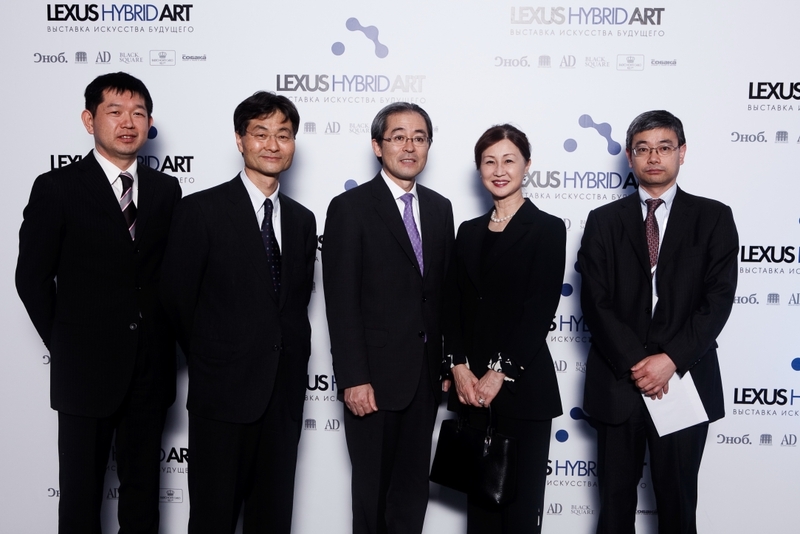 Hybrid art, a new language of art! 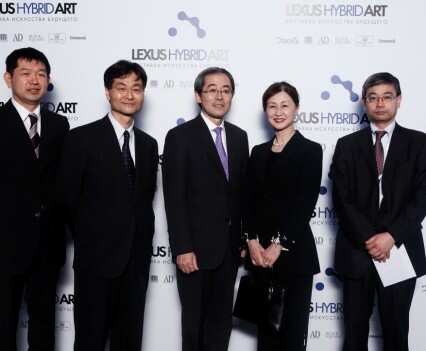 Hybrid Art is a new way to translate the present, a new format for artworks. 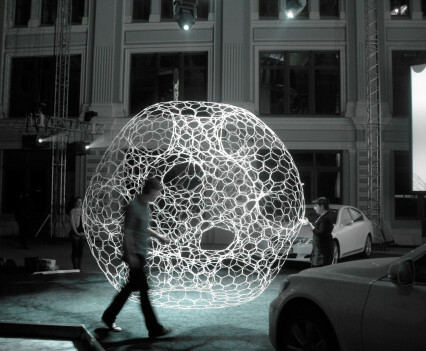 Hybrid art blurs the traditional boundaries between painting, sculpture, film, architecture, installation and performance art. 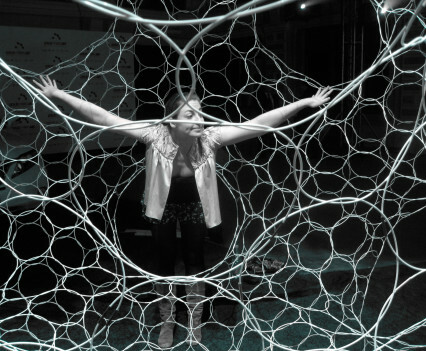 In this interdisciplinary approach artists fuse different genres and teachings from literature, scientific research, industrial design and information technology to philosophy and pop culture. 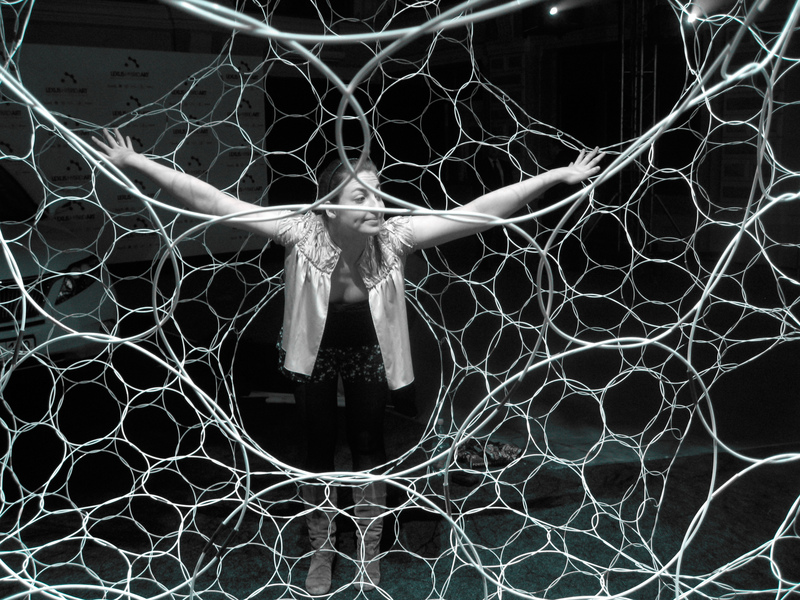 Hybrid art opens a broad window for creative experiment. 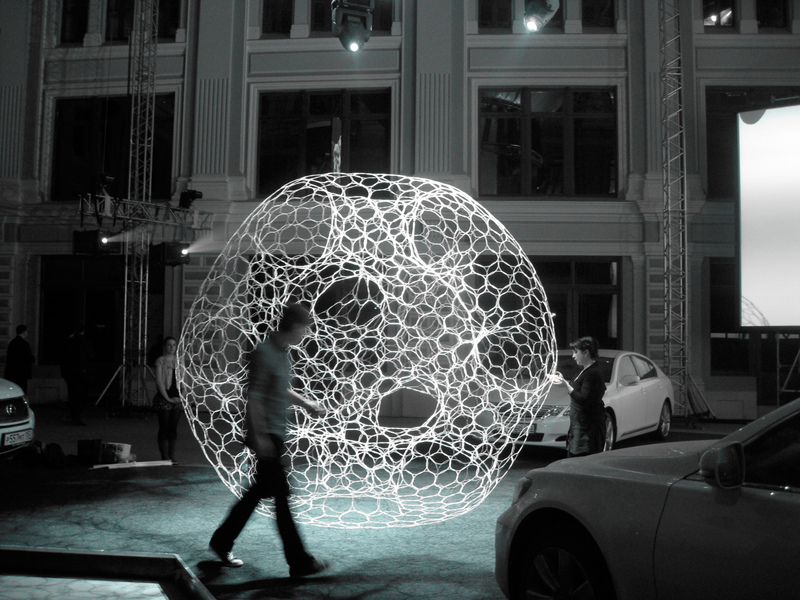 Artists re-invent art, using innovative methods and high-tech materials. 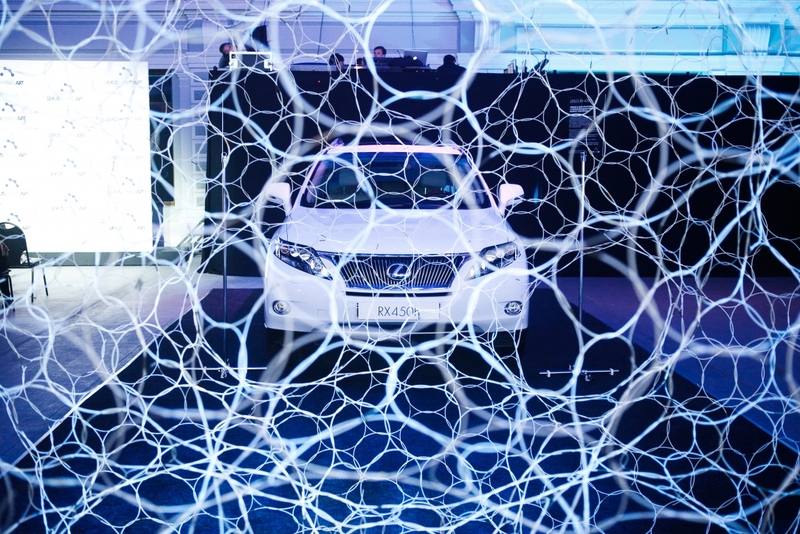 The project “Lexus Hybrid Art” explores how the latest discoveries and technologies enable us to change the reality of our perception and lead to a greater awareness of the human impact on the future. 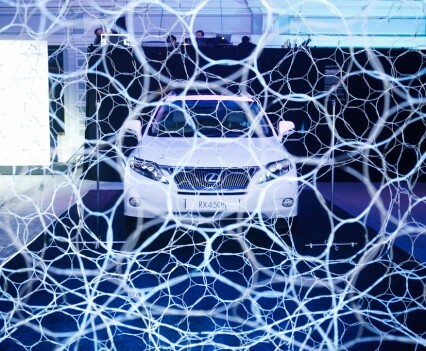 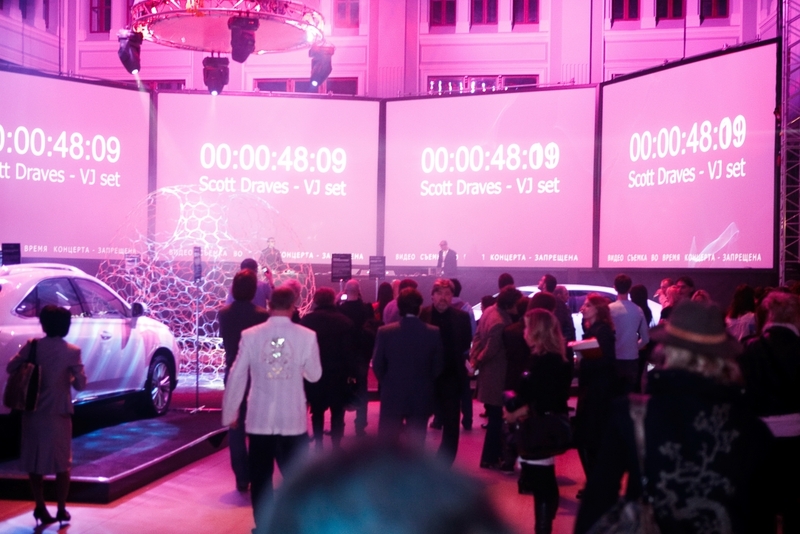 This project, initialized by Lexus, shows us an image of the future. 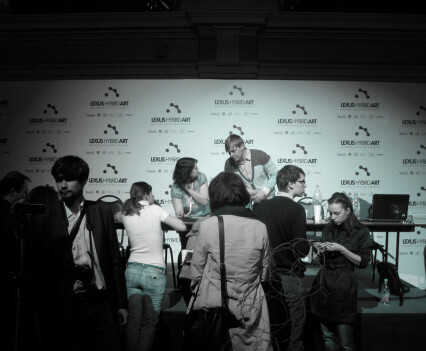 Presented for the first time in Moscow these headliners and award winners at the world’s largest media art festivals and digital art exhibitions such as Transmediale (Berlin), Ars Electronica (Linz), DECODE: Digital Design Sensations (Victoria and Albert Museum, London) and Elastic Mind (MoMA, New York), initiated a dialogue about the art of the future, emerging at the intersection of science, culture and technology. 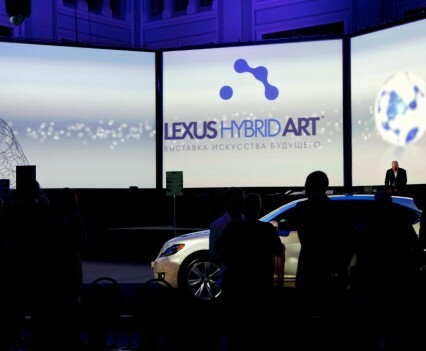 Share the post "Lexus Hybrid Art"